Bigfork Builders, Inc. recently celebrated 25 years in business and we want to take a few moments to honor such an accomplishment. In an industry that sees more than its fair share of ups and downs, with fly-by-night companies prevalent in far too many states, developing and maintaining a steadfast, high-caliber construction company with an untarnished reputation for more than a quarter of a century is a feat to be recognized. Both Andy Fischer and Brad Reedstrom were born and raised in Minnesota. They met as college classmates while studying carpentry and construction management and, upon graduation, were recruited for work by a high-end builder from Jackson Hole, Wyoming. After working for several years in the Jackson area, Brad and Andy decided to form a business partnership dedicated to the construction of highest-quality, one-of-a-kind homes using the hand-crafted, time-honored methods they loved to work with. In 1994 they moved to Bigfork, Montana, a community they had visited and were drawn to by its welcoming residents and natural beauty. It was the perfect choice and the beginning of a legacy. 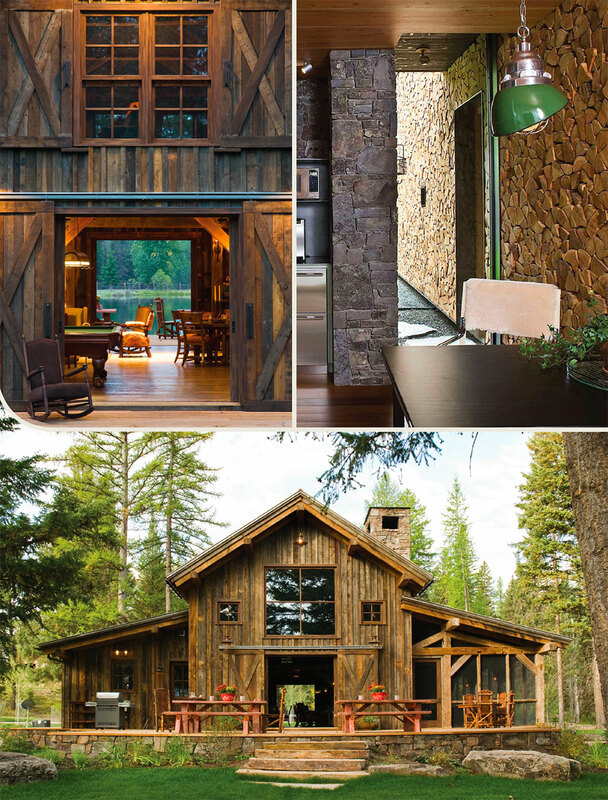 Brad and Andy have since established a rock-solid reputation as the builder of choice for those expecting the highest levels of home construction on any style of home, from the most rustic log homes to the most contemporary modern residences laden with glass and steel. They’ve become extremely well versed in today’s modern techniques as well as the time-honored methods they started with, and their many years of experience allow them the wisdom to discern the most appropriate methods for every project. …for those expecting the highest levels of home construction on any style of home, from the most rustic log homes to the most contemporary modern residences laden with glass and steel. It’s the sign of a good builder who can easily transition from building a simple or elaborate log home with expansive beams to a traditional Southern-style mansion with hand-crafted wood trim details to a modern wonder with clean lines and trim-less details where every inch of framing must be absolutely perfect before the first sheet of drywall is ever hung. Both Brad and Andy say that it is this kind of variety in their work that brings them so much joy and keeps them doing what they do year after year. And they appreciate just how fortunate they are to live and work in an area that allows for such architectural diversity. They are good at what they do, and it shows. 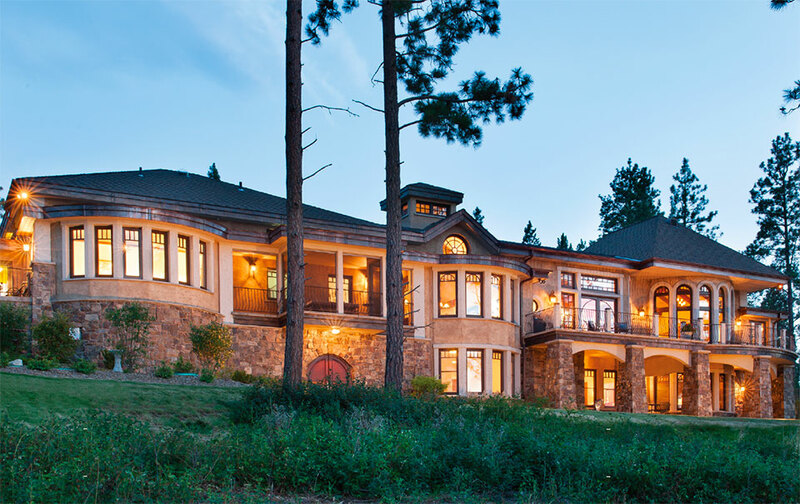 The company has an extensive portfolio of beautiful homes and family compounds around Flathead Lake in the Polson area, Big Arm, Lakeside, Somers and Bigfork. 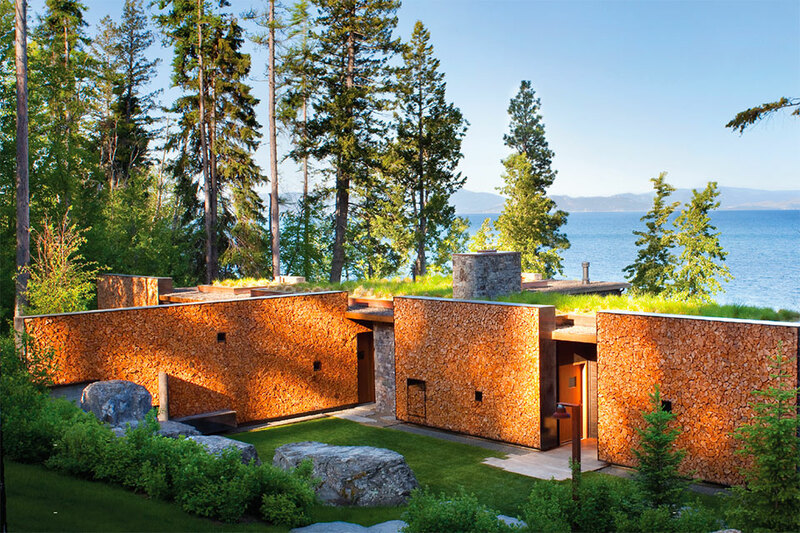 They’ve travelled as far as Condon for an expansive project on a magnificent piece of property tucked away on a private lake, built homes on Seeley Lake, Echo Lake, throughout rural Bigfork and, of course, Whitefish. 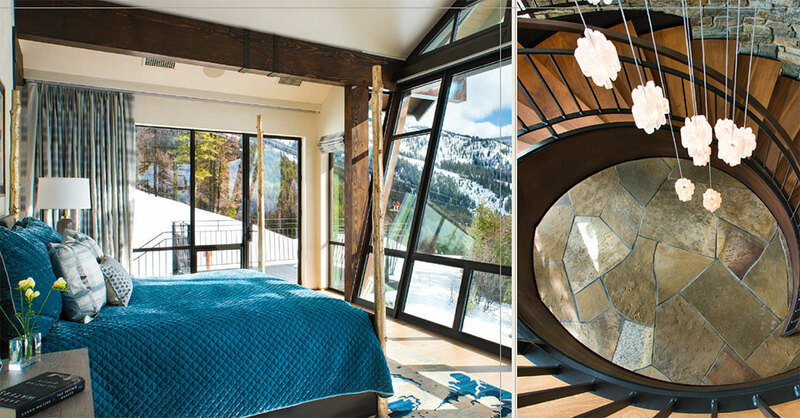 They recently completed an extraordinary home on Big Mountain, directly adjacent to the chairlift, boasting an elevator to the top-floor observatory, massive cantilevered windows, large amounts of iron work throughout, and a ski-tuning room that would rival a professional ski shop. The incredible variety of diverse styles Bigfork Builders has constructed through the years showcases the depth of their skills and abilities. As successful business owners, they are the first to point out that it takes an entire team of highly skilled members to craft a beautiful home from start to finish. Not only are they fortunate to work with some of the best tradesmen in the industry, but they specifically credit the talents of the professional architects and interior designers they have worked with over the years. A home is built by the many hands involved from beginning to end and Bigfork Builders is the first to acknowledge that they are only as good as those with whom they work. Andy and Brad are fortunate to work with some of the best tradesmen in the industry. Within their company, Andy and Brad have distinct and separate roles that match their skill sets to perfection. Andy is a master at the art of reading and analyzing structural blueprints and brings an expectation of perfection and cleanliness to the jobsite that is rarely matched in today’s world. He has the ability to recognize a potential issue long before the ground has ever been broken and comes to the table with viable solutions to rectify it. As the construction manager, Andy is at the jobsite from start to finish, masterfully overseeing the details of every project along the way, coordinating with subcontractors, ensuring employees are properly trained and safe, and keeping the home on schedule and on budget. Pride of workmanship and unparalleled craftmanship are clearly evident in his work. Brad is the company’s operations manager and has a mind like that of a highly capable computer, easily recalling from memory the most miniscule details from a project completed many years prior or a conversation long since passed. He has a keen ability to transition from working with the smallest details to stepping back and analyzing the bigger picture, taking note of all possible variables in each unique scenario. He is typically the first and main point of contact for each job and is involved from start to finish, coordinating with architects, clients, suppliers, and subcontractors. He has a knack for putting those around him at ease with his focused listening skills and easygoing communication style. His sharp attention to detail combined with his vision for the future is what has driven this company to dig deeper and helped make it the success it is today. Bigfork Builders is a member of the National Association of Home Builders and the American Custom Builders Council. They’ve served on the Flathead Building Association’s Student-Built House project and have donated their construction talents to a variety of non-profit organizations such as the Food Bank, Red Cross, and United Way. They continuously strive to give back to the communities around them and those who have supported them in their 25 years in the Flathead Valley.